The retirement of World Championship bronze medallist Hong Wei – along with his Chinese team-mates Bao Yixin, Luo Ying, and Luo Yu – adds one more to the list of new or returning pairs for next month’s Superseries leg. 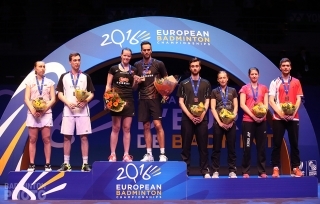 Injuries and experimentation already accounted for several new pairs but with the latest retirement announcements out of China, no fewer than one dozen current or former world top 20 shuttlers are due to appear in changed pairings in the European leg of the Superseries for the first time, or at least for the first time in over a year. 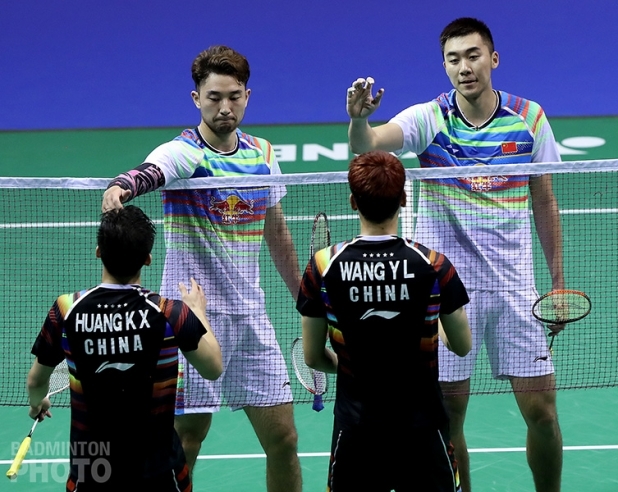 Hong Wei is the only one even close to age 30 in the quartet of Chinese players whose retirement from international badminton was announced this week by the BWF. 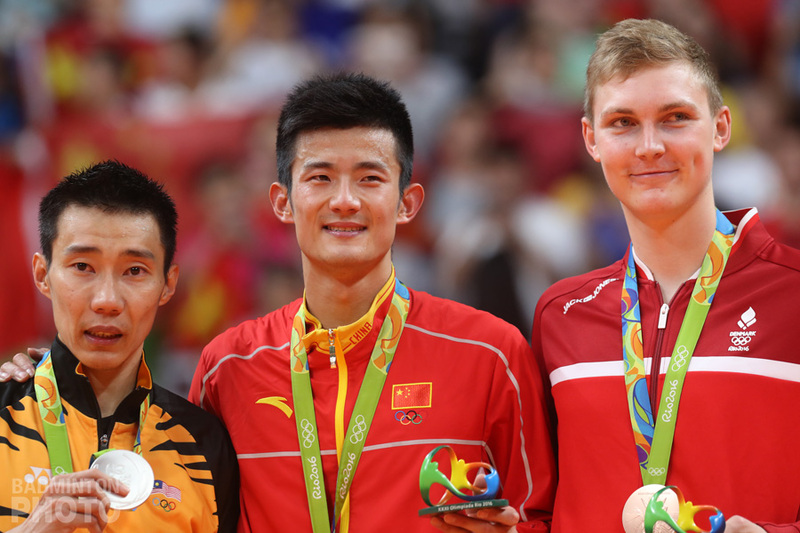 Turning 28 early next month, Hong retires with 5 Grand Prix Gold titles to his name – all but one with Chai Biao (pictured top)- but out of ten appearances in Superseries finals, he won just one, when he and Chai took the India Open title in 2015. 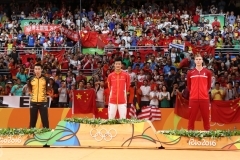 Of course, while the twins Luo Ying and Luo Yu are only 26 and Bao Yixin – who doesn’t turn 25 until next week – seem to be leaving international badminton very early, it is hardly without precedent as they were all outdone by last year’s shock departure of team-mate Tang Yuanting at age 22. 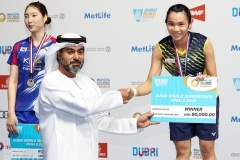 Luo Ying and Luo Yu are perhaps best remembered for topping the podium at the 2015 Superseries Finals in Dubai but they also took 5 Grand Prix Gold titles, one other Superseries, the 2014 Asian Championship title, and they capped things off earlier this month by winning gold at the China National Games, beating World Champions Chen/Jia in the final. 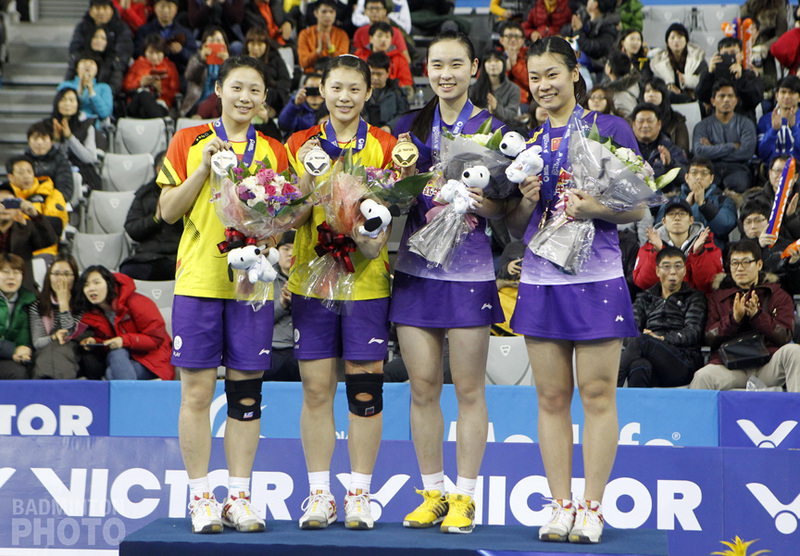 The 24-year-old Bao Yixin leaves with an incredible 14 Superseries titles – all but one in women’s doubles. The twins played together and were not active in mixed so the active player mainly impacted by the retirements is Chai Biao. Chai Biao had been playing pretty steadily with Hong Wei since the pair won the 2013 German Open in their first tournament together. He will sit out the Denmark Open and be back on court the following week, playing with Wang Yilyu (pictured left, with mixed partner Huang Dongping). This marks the first time in his career that Chai will be in the role of mentor to a younger men’s doubles partner. 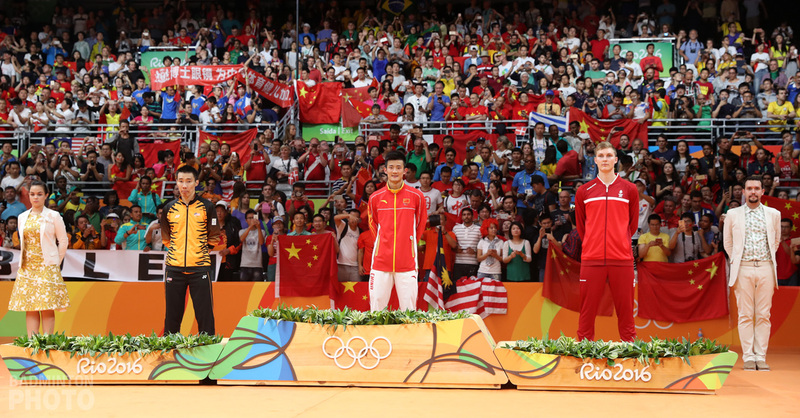 Tang Jinhua, who won an incredible 7 consecutive titles with Bao starting in the autumn of 2013, was reunited with Bao this year after a short but successful partnership with Huang Yaqiong. She has not been entered in either of the two European Superseries events. Similarly, Wang Yilyu’s current men’s doubles partner Huang Kaixiang is entered in the Denmark Open with Wang but will not be in Paris when Wang debuts with Chai. Several doubles pairings were already slated for breakup weeks before the Chinese announcement, of course. Denmark was the first, making an announcement of a partner swap in mixed doubles which Badminton Denmark’s Jens Meibom said just happened to come right after Joachim Fischer Nielsen went down with a serious ankle injury at the Worlds. Christinna Pedersen has been entered with Mathias Christiansen, while his present partner Sara Thygesen is to be reunited with former partner Niclas Nohr. Just a few days after injury struck Denmark’s top mixed pair, one caused the Thai team some grief as well. 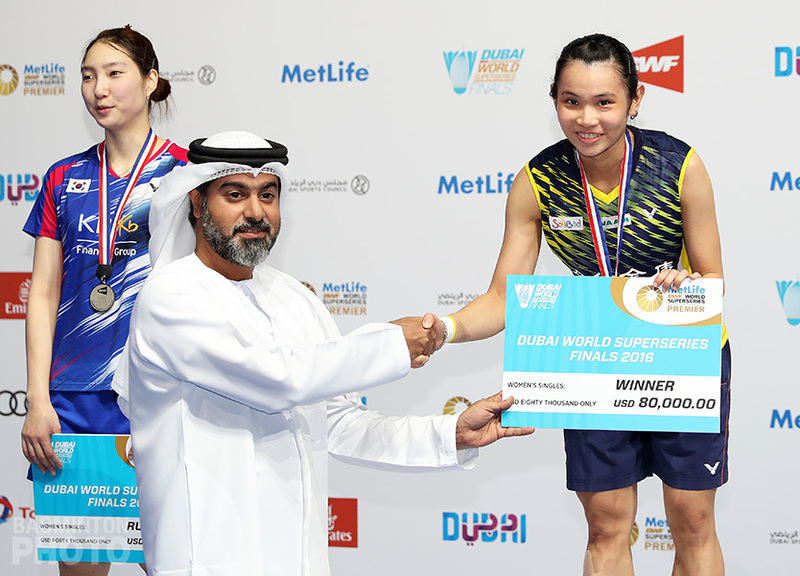 Sapsiree Taerattanachai was part of Thailand’s top pairs in both women’s and mixed when she was sidelined during an attempt at a third SEA Games gold, after winning the women’s team and mixed doubles. She and her partner Puttita Supajirakul (pictured below) were withdrawn from 4 straight Superseries events she had originally entered but Puttita has been paired with Sapsiree’s mixed partner Dechapol Puavaranukroh for both the Denmark and French Opens. The last injury re-pairing involved Korea’s Choi Sol Gyu. He retired from his opening match at the Korea Open last week and while this led to a straight withdrawal in mixed doubles for 4 Superseries events in a row, the coaching staff still had time to redo the entry for the French Open and he was replaced in men’s doubles by his Sudirman Cup partner Seo Seung Jae. 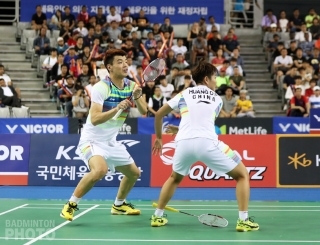 Seo’s name was withdrawn from a doubles pairing with Kim Won Ho – who is now expected to anchor Korea’s team at the World Junior Championships – and paired up with Choi’s partner Kim Jae Hwan. Incidentally, Seo and Kim play for the same university team and they won the gold medal at last month’s Summer Universiade in Taipei. Half of the new pairings are straight-up partner swaps. 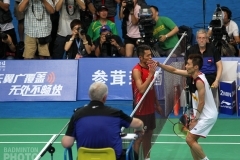 Much has been made in the Malaysian media of the splitting of Olympic silver medal-winning pair Goh/Tan. Last Friday, it became official that they would trade partners with Bitburger Open winners Ong Yew Sin / Teo Ee Yi. Much lower key was the shuffling within Korean women’s doubles, which many in the local media heard of in the mixed zone at the Korea Open. As for the top two pairs, two reunions are created, as Chang Ye Na / Jung Kyung Eun (pictured bottom) played together for several months back in 2015 and Lee/Shin have a partnership that goes back to middle school and they reprised it this past summer to win the U.S. Open. Even the other two pairs have been tried before: Chae/Kim at the 2015 Vietnam Open and Kim/Yoo in Osaka last spring. After the Korea Open final, Chang said that the partner shuffle is part of a test period and Head Coach Kang Kyung Jin has since told Yonhap that new partnerships would be finalized by the end of the year. Chang/Lee are still almost certain to qualify for Dubai, even if they sit out the last four Superseries events. Indonesia is sending Della Destiara Haris / Rizki Amelia Pradipta to Denmark for women’s doubles, but they will do a sneak preview at the Dutch Open. The following week, Hafiz Faizal will be the latest in a long line of partners for mixed doubles specialist Gloria Emanuelle Widjaja. Former mixed doubles world #20 Emilie Lefel is down to compete at home in France with visiting Ruben Jille of the Netherlands and other new or scratch pairings may yet emerge from the reserve list in Paris.